So long Stockholm. I am now on the bus to catch my first ever Ryanair flight going back to London where this project will finish in just 2 days! I am coincidentally returning to London where this project pretty much started almost 365 days ago (I arrived into London on day 8 after just a week in Singapore). 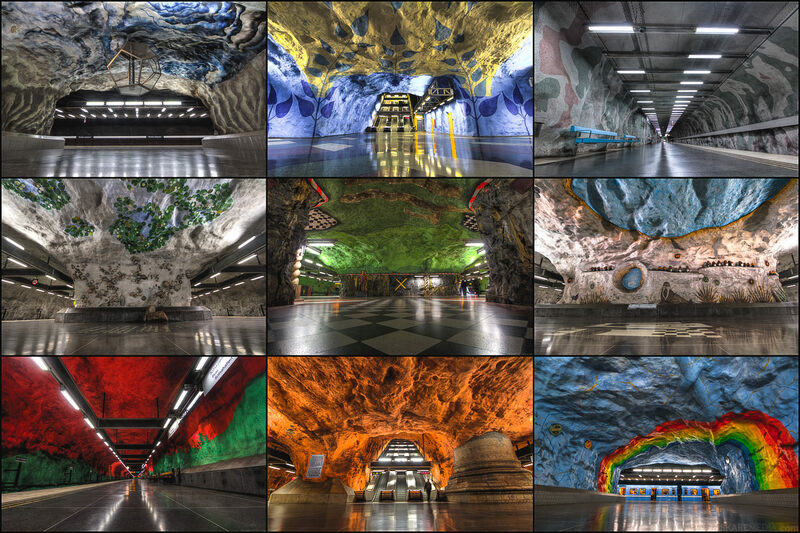 These are just some of Stockholm’s awesome subway stations which together form the worlds largest art gallery. I have wanted to visit the subways of Stockholm to Photograph them for a long time, and over the past 3 day I have dedicated 2-3 hours each day doing just that. I didn’t even get to see a quarter of them, but some of the ones I visited were spectacular. As you can see a lot of the station walls and roof have been left as bare rock which are then used as the canvas. Where as some have been tiled with paintings over the top, or fresco and tiled type designs, and some have simply had cabinets of artworks added or sculptures installed. Definitely the most dramatic are the ones with exposed and painted bare rock all of which you can see above. 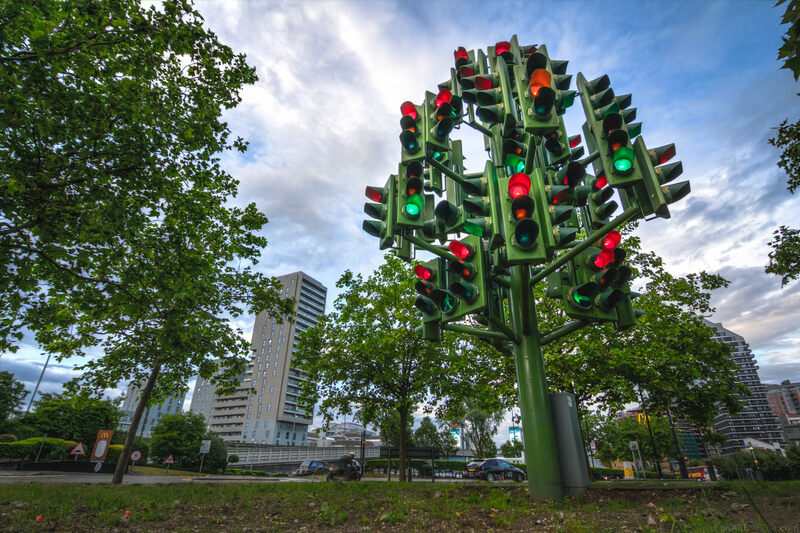 The network of Subway stations turned art galleries is an amazing Idea, and another example of something that we sadly wouldn’t be able to have in Australia due to vandalism. Sweden has very harsh penalties for defacing, street art, and graffiti, so these subway stations almost make up for its lack of a healthy street art scene.